Now that interest rates are on the upswing, one big-picture concern for investors is whether heavy corporate debt will become a threat to the U.S. economy. If you rely on corporate bonds for retirement income or to help temper the effects of stock market volatility, you might also consider the potential impact on your fixed-income portfolio. Corporate bonds usually offer higher interest rates than U.S. Treasury securities with comparable maturities. Whereas Treasuries are guaranteed by the federal government as to the timely payment of principal and interest, corporate bonds are not guaranteed and depend on the financial strength of the issuing company. Most corporate bonds are evaluated for credit quality by one or more ratings agencies, each of which assigns a rating based on its assessment of the issuer’s ability to pay the interest and principal as scheduled. Investment-grade bonds are generally rated BBB or higher by Standard & Poor’s and Fitch Ratings, and Baa or higher by Moody’s Investors Service. Non-investment-grade bonds (also called high-yield or “junk” bonds) are issued by companies that pose a greater risk of default. Bond investors generally expect a higher interest rate as compensation for bearing the additional risk. Many factors can alter a company’s perceived credit risk, including shifts in economic or market conditions, adjustments to taxes or regulations, and changes in management or projected earnings. When a ratings agency upgrades or downgrades a company’s credit rating, or even adjusts the outlook, it often causes the prices of outstanding bonds to fluctuate. Some companies have taken advantage of very low rates and favorable terms, putting them in good shape to repay their debt over a long period of time. 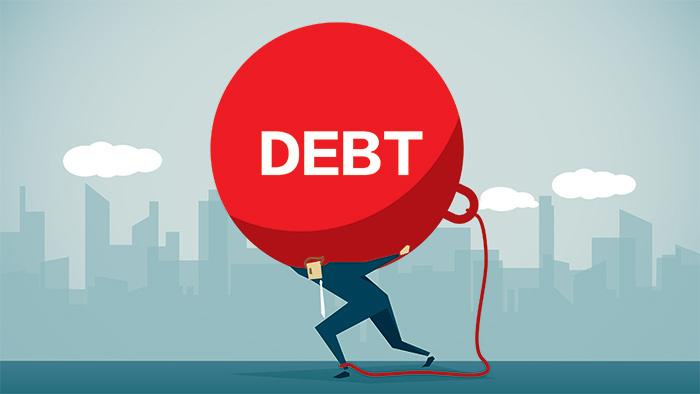 But those that must refinance their maturing debt will likely face higher borrowing costs, and struggling firms might find it difficult to access credit. Bonds that lose their investment-grade ratings are known as fallen angels, and they are immediately removed from the investment-grade indexes that track them. Bond funds that are required to keep only investment-grade bonds in their portfolios may have to sell junk-rated bonds at steep discounts, which could push down fund prices. As a category, U.S. investment-grade corporate bonds posted a loss of about 2.5% in 2018, making it the worst year for returns since 2008. Concerns about the deteriorating credit quality of bonds issued by some well-known companies were partly to blame.6 And rising interest rates placed downward pressure on fixed-income investments in general. Some companies and industries are more heavily indebted and/or may be more vulnerable to business cycle transitions than others. Considering the uncertainty, you may want to take a more cautious and selective approach when evaluating corporate bond investments. The principal value of bonds may fluctuate with changes in interest rates and market conditions. Bonds redeemed prior to maturity may be worth more or less than their original cost. Bond funds are subject to the same inflation, interest rate, and credit risks associated with their underlying bonds. As interest rates rise, bond prices typically fall, which can adversely affect bond fund performance.